PHOTOS VIDEOS Is the Guy’s Grocery Games set a real store? What happens to the food after filming? The Guy's Grocery Games set is just as much a character on the show as host Guy Fieri himself. Producers went to extreme lengths to make the set look like an authentic grocery store -- but it is it the real deal? And what happens to the food when the show is done taping? We've got all the answers you seek, plus a *ton* of behind-scenes-info on how the show actually works! Guy Fieri made it clear that he's done absorbing insult after insult from prominent Food Network critic Anthony Bourdain–and he did so in an uncharacteristically restrained fashion. Fieri addressed the Parts Unknown host's ongoing beef in a new interview, saying, among other things, that Bourdain "has issues." Read on for his full retort! 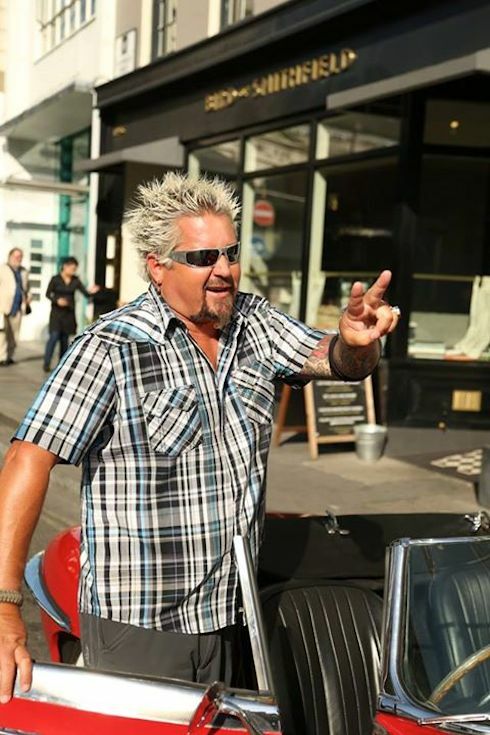 How many restaurants has Diners, Drive-Ins, and Dives visited? 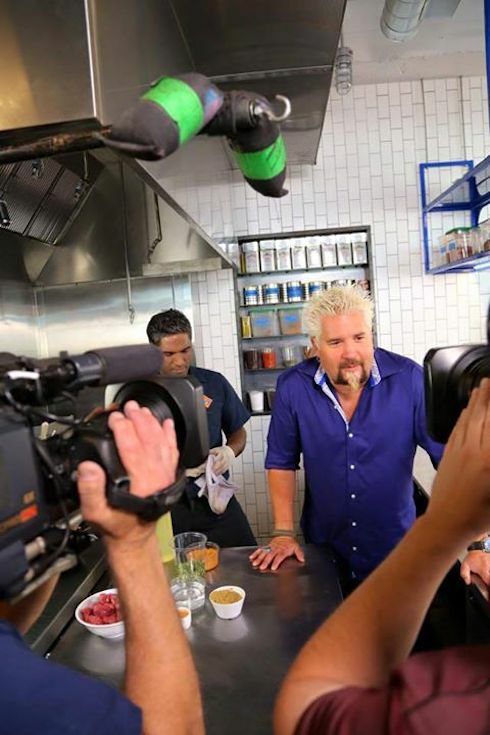 Diners, Drive-Ins, and Dives is one of the most popular shows on Food Network. 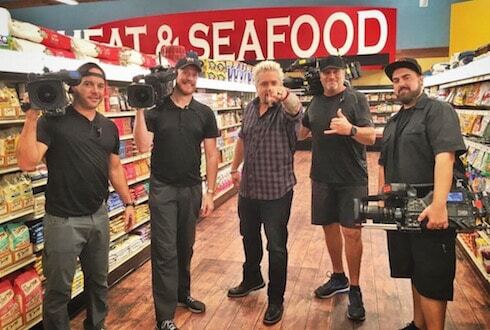 One of the most commonly asked questions about the show is this: How many restaurants has Diners, Drive-Ins, and Dives visited? This Starcasm exposé seeks to answer that elusive question. As far as a calorie count, though...you're on your own. Who is Lori Fieri, Guy Fieri’s wife? Who is Lori Fieri, Guy Fieri's wife? A recent appearance of Lori Fieri on Guy's Grocery Games marked one of the first times on camera for the outgoing Guy's reclusive wife. Why does Lori shun the spotlight her husband seems to crave? And does that shunning help their marital dynamic? More to the point: Does the clearly charismatic Lori have a future in television of her own? Read on to find out! The first-ever 101 Gay Weddings shindig in south Florida just got a little bit bigger, and a little bit brighter. Guy Fieri, best-known as the boisterous star of Diners, Drive-Ins, and Dives, is set to officiate. And Duff is making the cake!